The retail sector took another hit after David’s Bridal filed for bankruptcy. The largest provider of wedding supplies in America has over $400 million of debt it needs to offload. Anything already ordered, like a wedding dress, will still make it to the customers who bought them, according to The New York Times. Online purchasing has driven down retail profits since the boom of ecommerce, and higher-end clothing boutiques started feeling the pinch more recently. Some even closed their doors and opened online stores. David’s Bridal is just the latest, but biggest, store to face too much debt. Creditors look to give $60 million in financing to David’s along with a $125 million revolving credit facility, according to The New York Times. The deal happened before David’s faced a Delaware bankruptcy court, which helps bolster David’s standing and will allow them to keep open 300 of their stores. 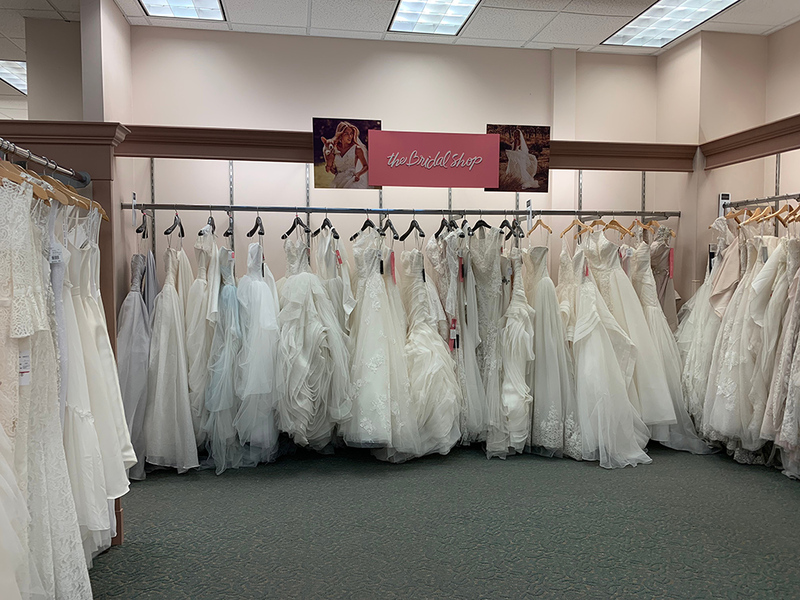 “With the support of our lenders, noteholders and equity holders, the plan will allow us to reduce our debt significantly while continuing to run our business as usual,” David’s Bridal chief executive Scott Key said in a statement. Marketwatch reports about the implications for people who bought or who may need to think about protecting the money put into weddings. Anyone planning a wedding should know that insurance is an option. It can cover a range of wedding problems, from small to nightmarish, and including something as basic yet crucial as a dress. While shrinking marriage rates and online shopping hurt businesses like David’s Bridal, there’s new opportunity for insurance companies like Travelers Insurance and WedSafe. It’s not unusual to consider a small vendor going bankrupt before a wedding, but most people wouldn’t have thought to protect purchases from the biggest wedding retailer in America in case of bankruptcy. David’s Bridal sticks to its promise of still providing the clothing, but insurance companies may see a spike in interest from worried soon-to-be-weds. “It’s a significant investment,” Todd Shasha, managing director of personal insurance product management at Travelers, said about weddings. WTSP-Tampa reports that David’s Bridal set its sights on January for when it will be able to move on from bankruptcy. IBISWorld, which does market research, reports that the company brings in about $791 million in revenue each year from its dresses that make up a third of the American market. David’s Bridal offers a number of other products for weddings and other special occasions like bar and bat mitzvahs. David Reisberg got his inspiration in 1945. He decided that his enjoyment of crafting wedding gowns would be better used as a profit-making business. David’s Bridal got its start in Fort Lauderdale, Fla., where it eventually grew to become the largest wedding retailer in the country.